Three motorcycles recovered from suspect thieves in Nyagatare District have been handed over to the rightful owners. The bikes were recovered separately from four thieves. 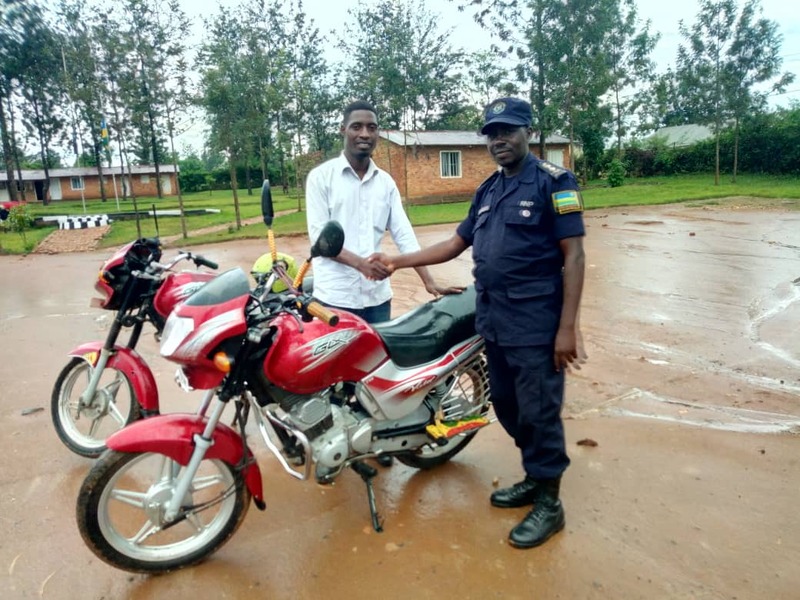 Two of the motorcycles; RE 702K and RB 312E recovered back in February from two thieves identified as Janvier Sebanani and Jean Paul Niyomuremyi, who were convicted of the crime and serving their prison sentences, were handed over to the owner Vital Bemeriki, on Tuesday. Meanwhile, Another motorcycle; RD 686P was recovered on April 9, in Rukomo Sector from the suspected thief identified as Moise Manishimwe. It was reported stolen on April 6, in Tabagwe Sector. According to Theogene Munyengabe, the rightful owner of the motorcycle (RD 686P), he gave it to one Manirambona, who had it at the time it was stolen in the trading centre in Tabangwe, where he had parked it. Manirambona said he parked it, went into the bar but later came out for a private phone call leaving the motorcycle key on the table. “When I went back into the bar I couldn’t find the key where I had left it, I rushed outside only to find that the motorcycle is gone too,” Manirambona said.